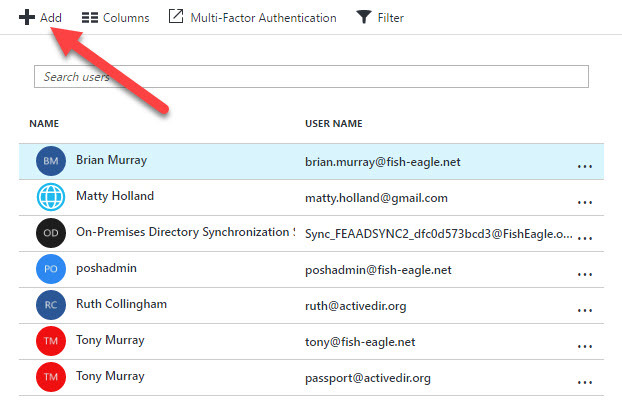 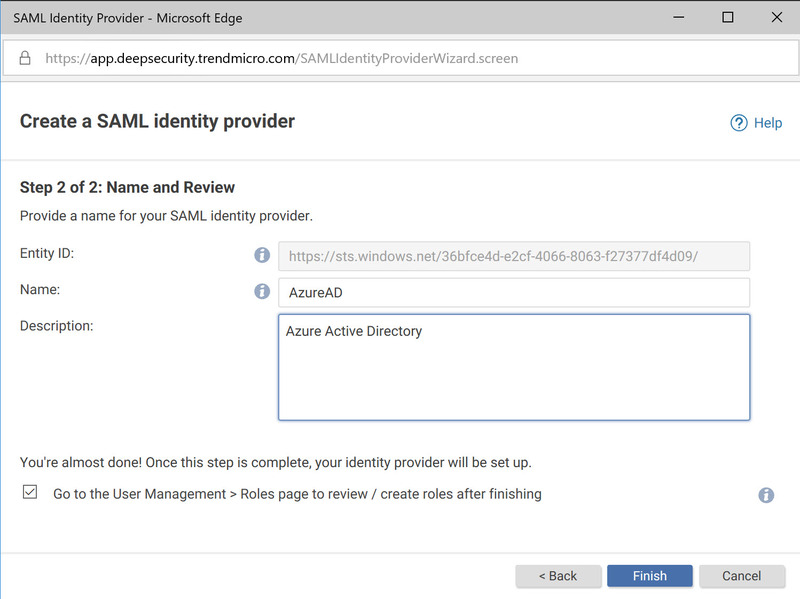 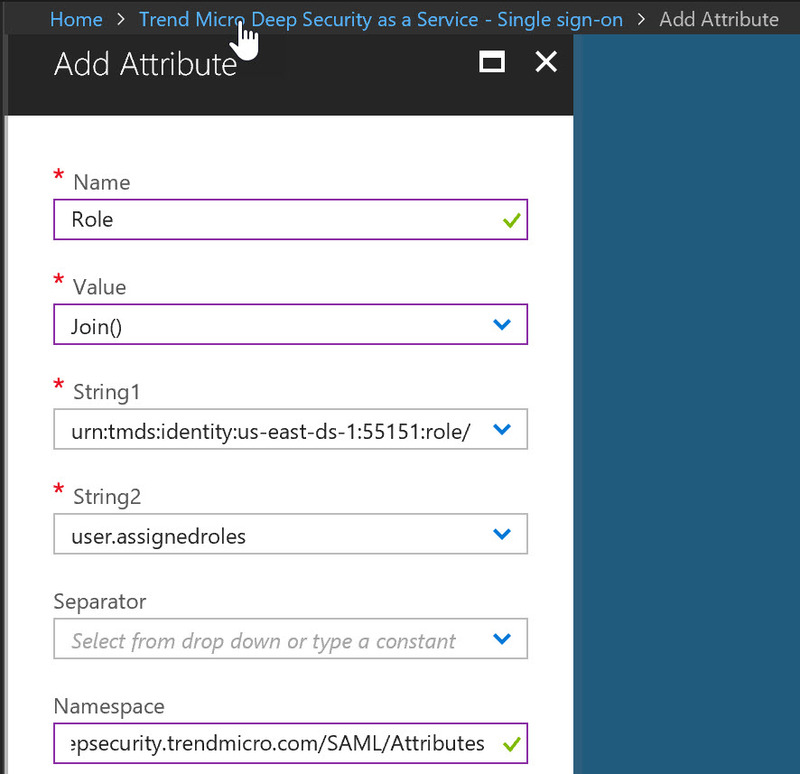 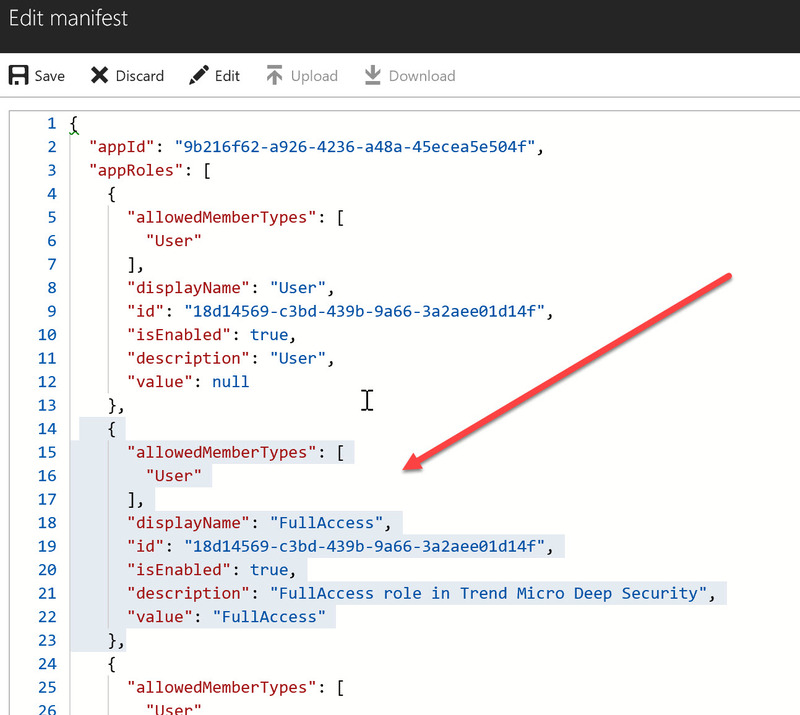 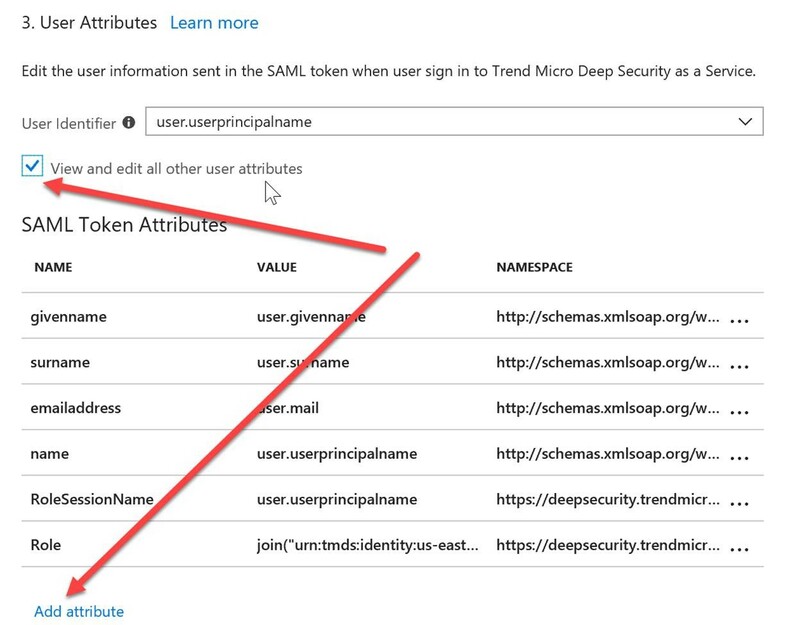 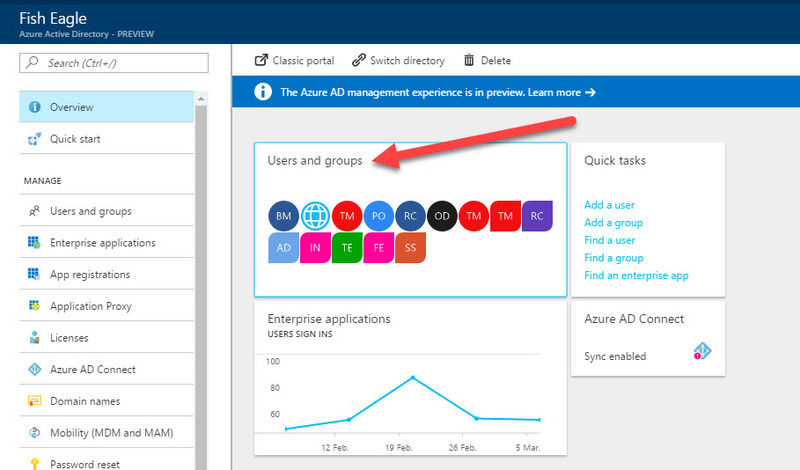 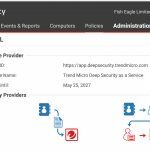 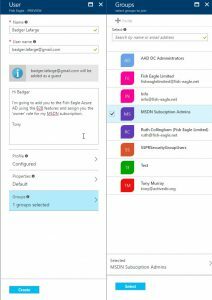 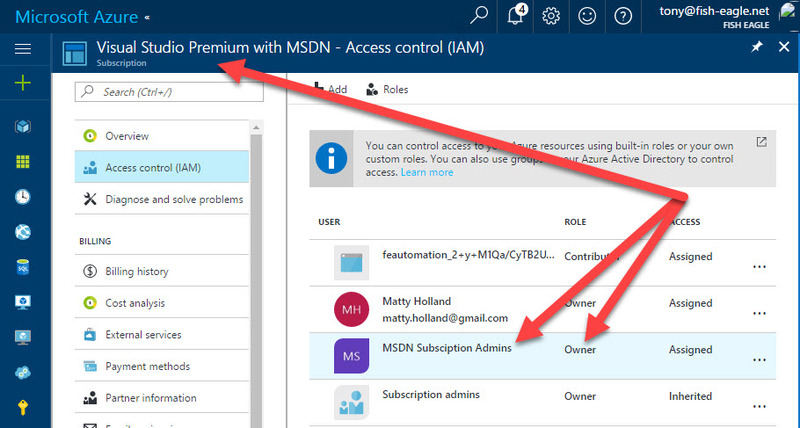 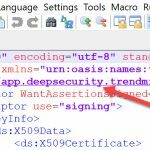 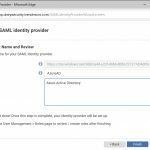 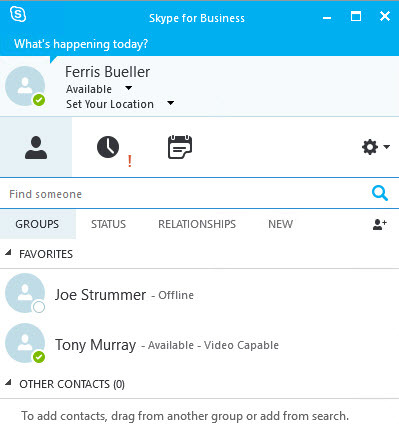 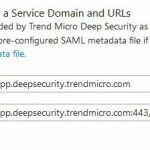 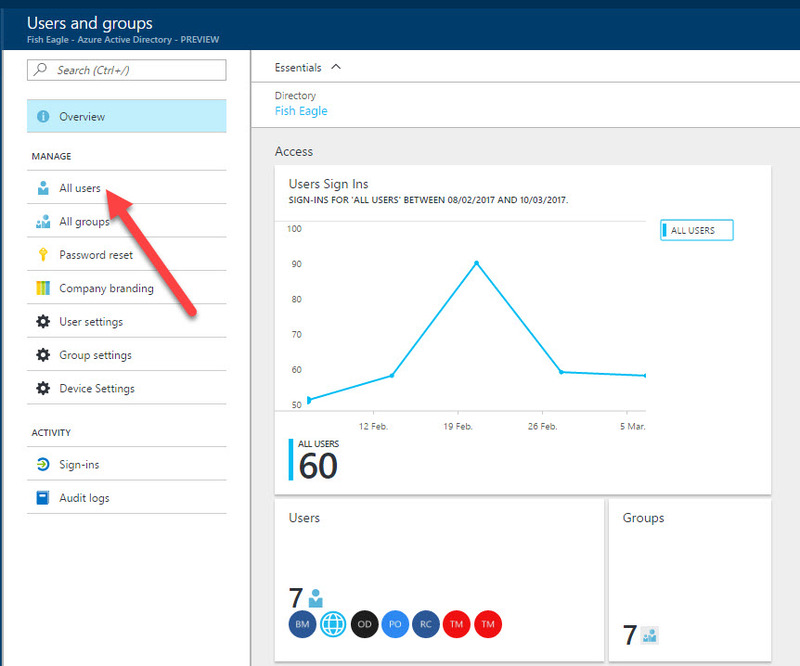 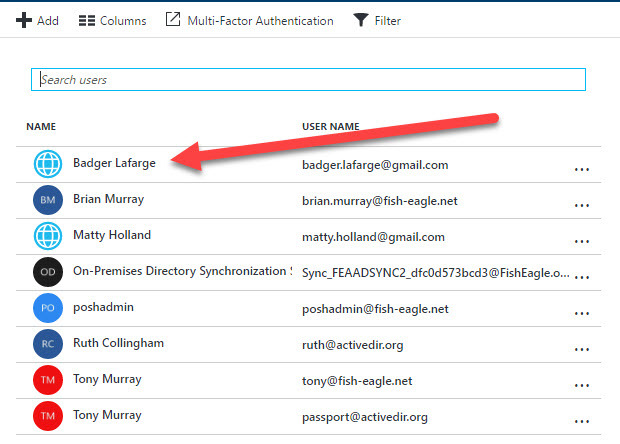 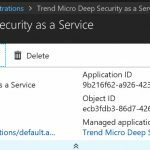 Posted by admin on April 17, 2019 at 3:36 pm under Azure Active Directory, Azure AD Identity Protection. 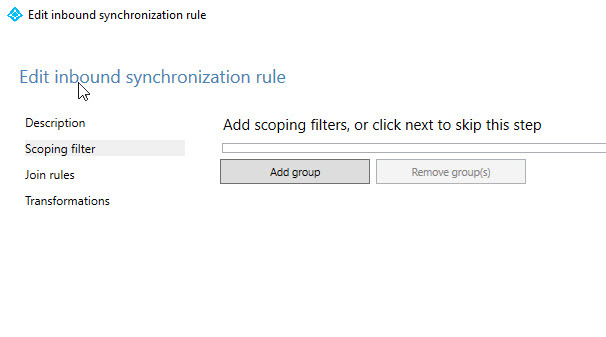 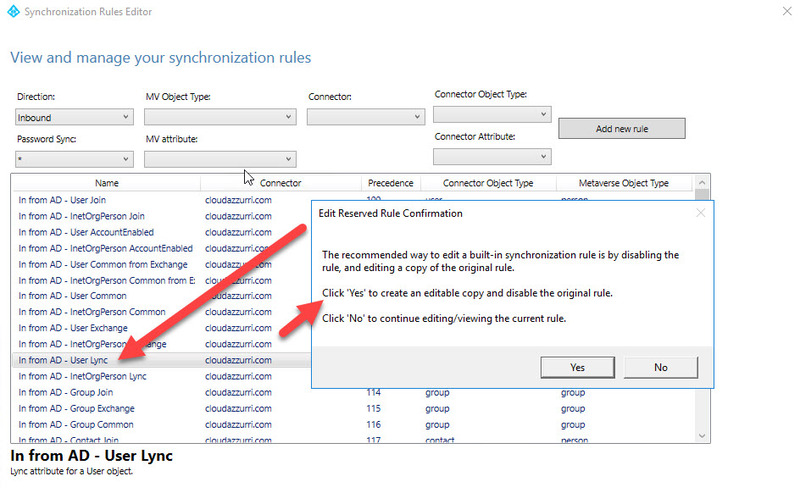 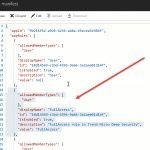 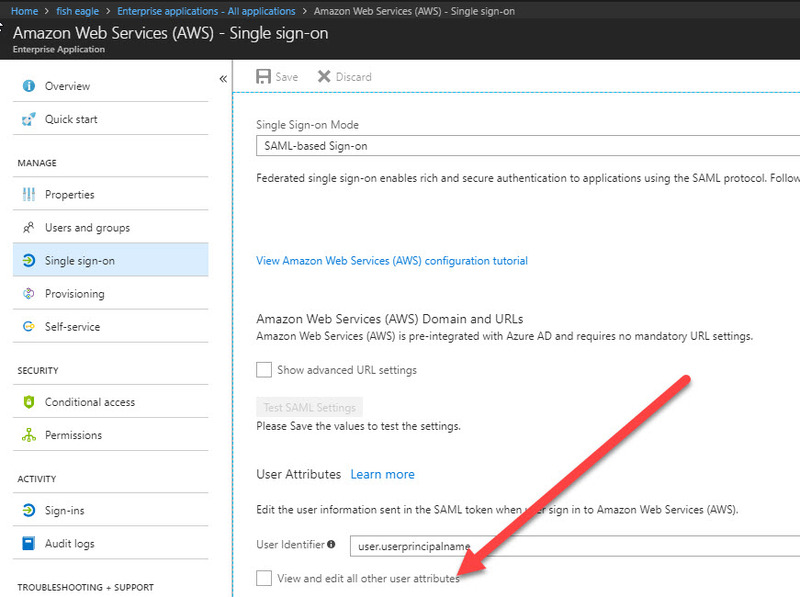 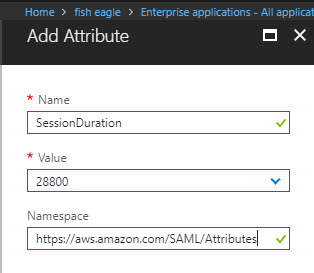 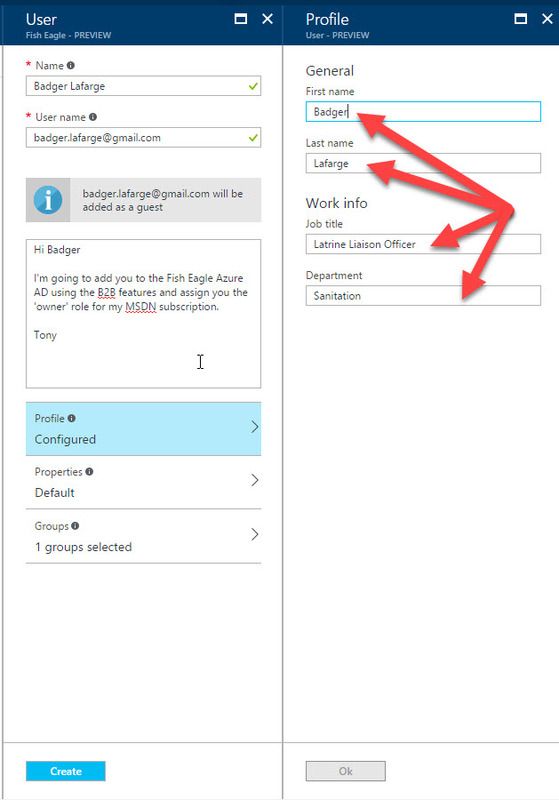 Last week I came across an issue when attempting to create a new custom synchronisation rule in Azure AD Connect. 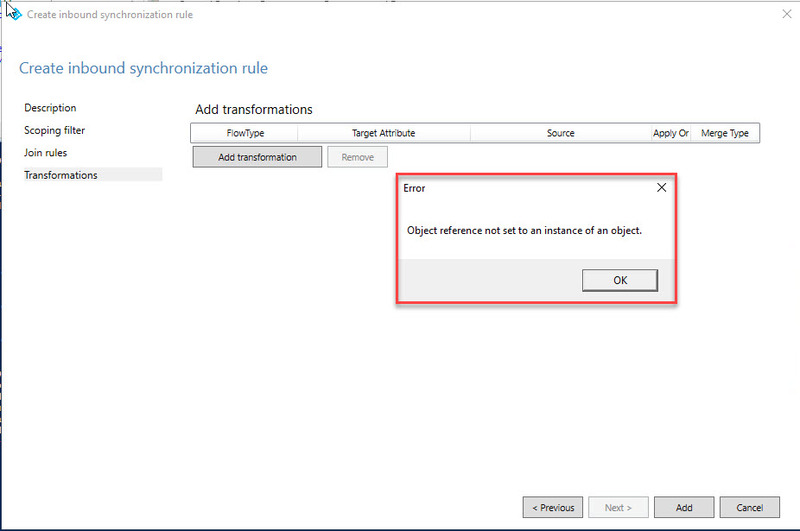 When I tried to finish the wizard and add the rule, I received the error: “Object reference not set to an instance of an object”. 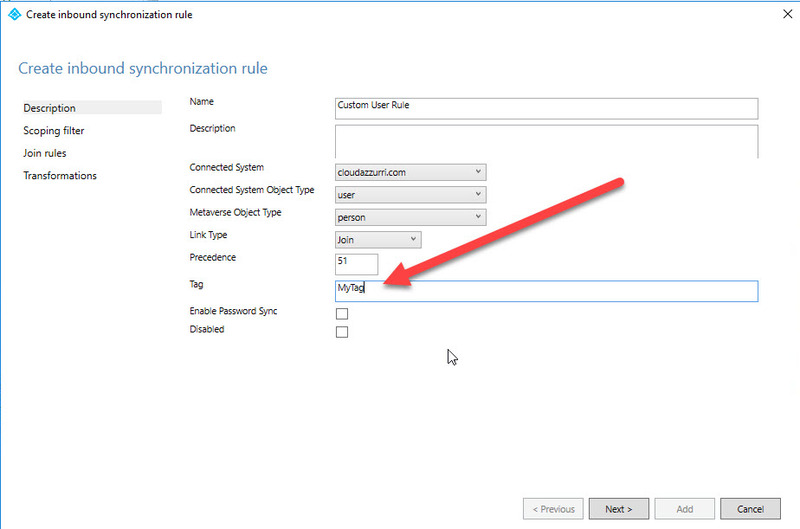 The workaround is to add a tag to the rule on the Description page, as shown below. 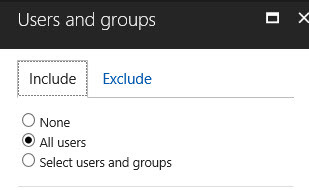 The tag doesn’t need to be meaningful. 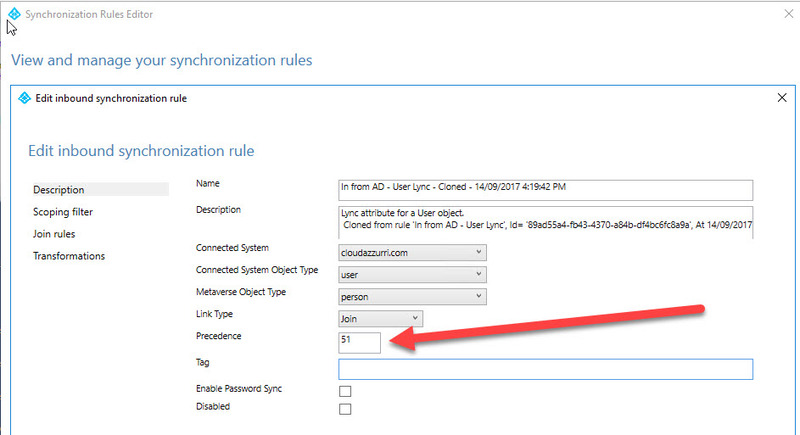 The issue appears to be specific to version 1.1.561.0 (July 2017) of AAD Connect. It wasn’t a problem in previous versions and it has been addressed in version 1.1.614.0 (September 2017). 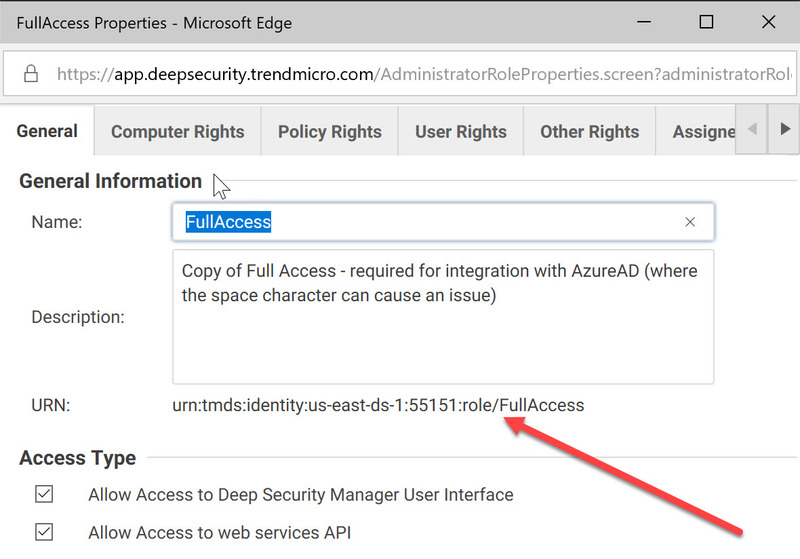 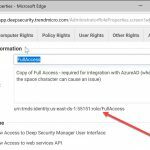 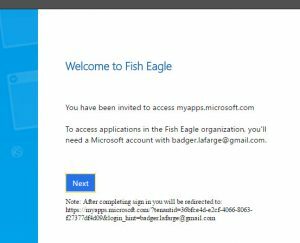 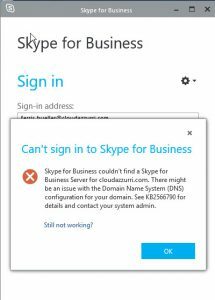 Posted by admin on September 14, 2017 at 10:55 am under Azure Active Directory. 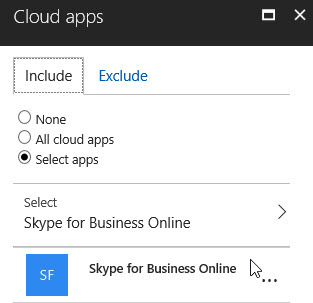 I hit this problem while working with Azure AD Connect at a customer earlier this week. 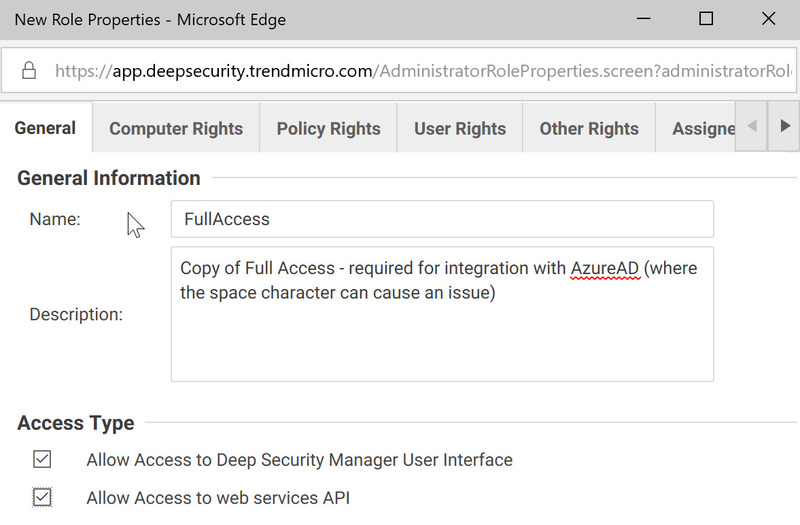 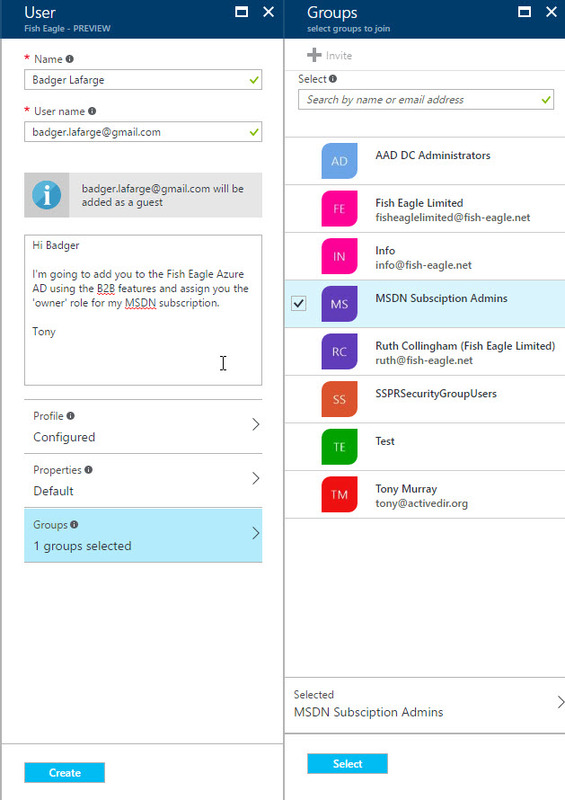 The situation was that AAD Connect had already been configured with Pass-Through Authentication, which was working as expected. 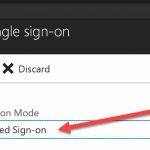 The next step was to enable Seamless Single Sign-On, but this failed with the following: ‘Failed to create single sign-on secret for True’. I immediately thought this was probably an issue with the firewall between the server running AAD Connect and the on-premises AD Domain Controllers. 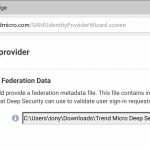 The difficulty I had was that my customer’s environment was really locked down and I didn’t have access to the firewall or to the tools I would normally use to troubleshoot something like this. 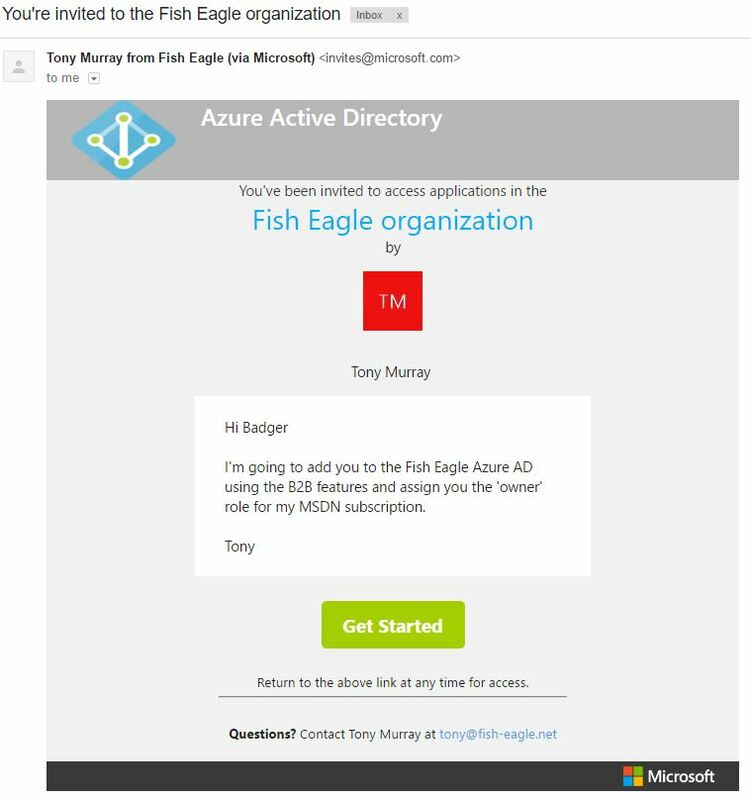 So, basically I decided to try and reproduce it with my own Azure AD environment. 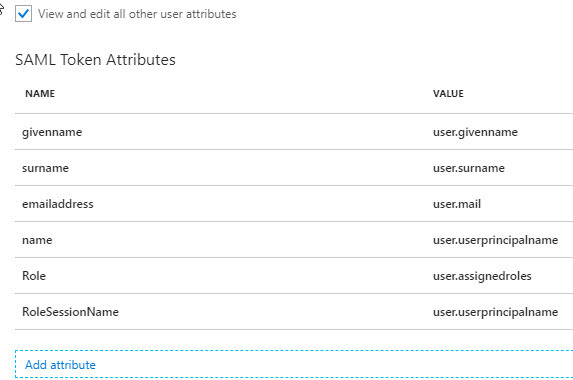 In my first test, I configured the firewall rules a per Table 1, i.e. 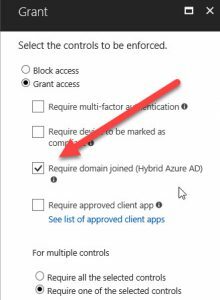 without port 445 and attempted to enable SSO via AAD Connect. 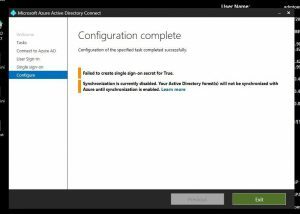 I received the same ‘The RPC server is unavailable’ error. 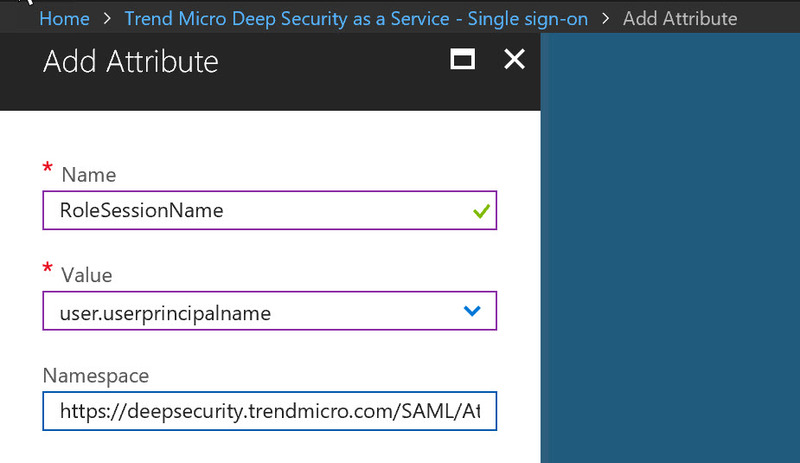 I then removed SSO manually using the Powershell method. 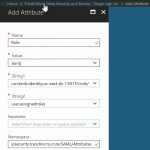 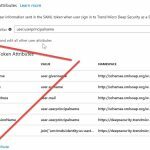 In my second test, I tried to enable SSO using the Powershell method. 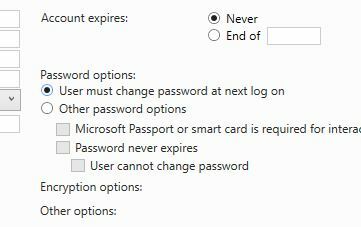 Again, I see the RPC error. 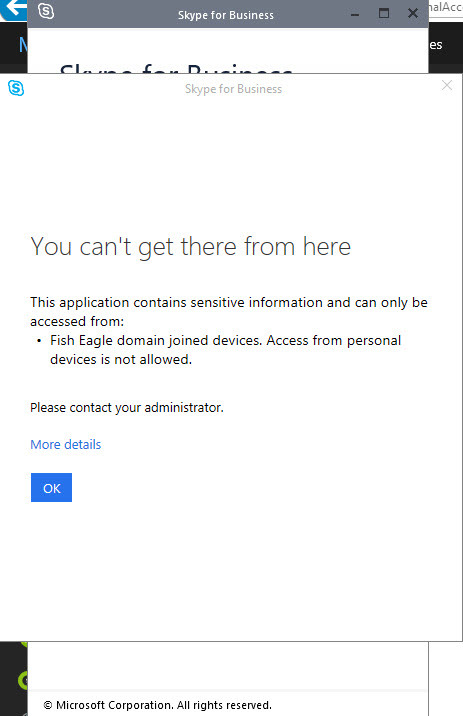 Looking at the firewall logs, I see a failed connection attempt to the ADDS DC on port 445. 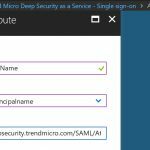 After adding port 445 to the allowed firewall ports, I re-attempted disabling + enabling SSO using the Powershell method. 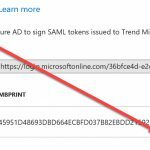 This time the cmdlet completes successfully. 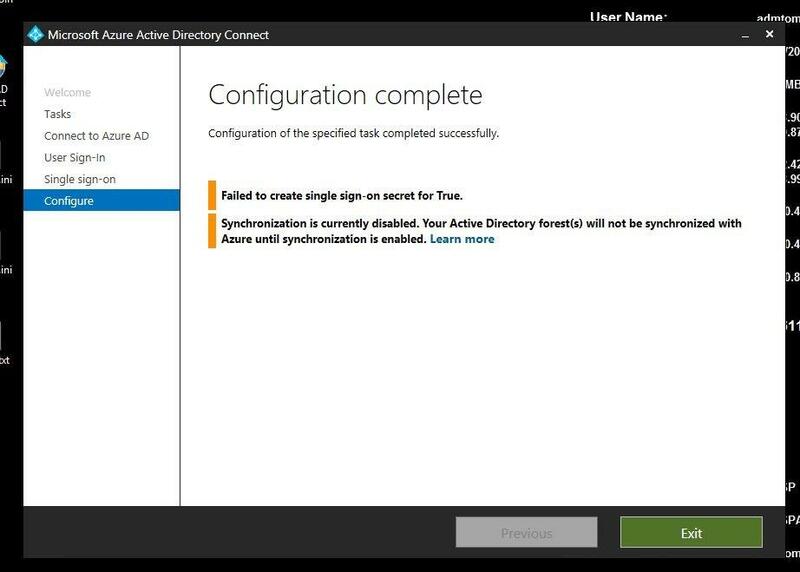 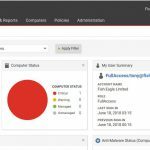 The status now looked good and confirms that the missing firewall rule allowing traffic from the AAD Connect server to the DCs on port 445 (TCP) was the culprit. 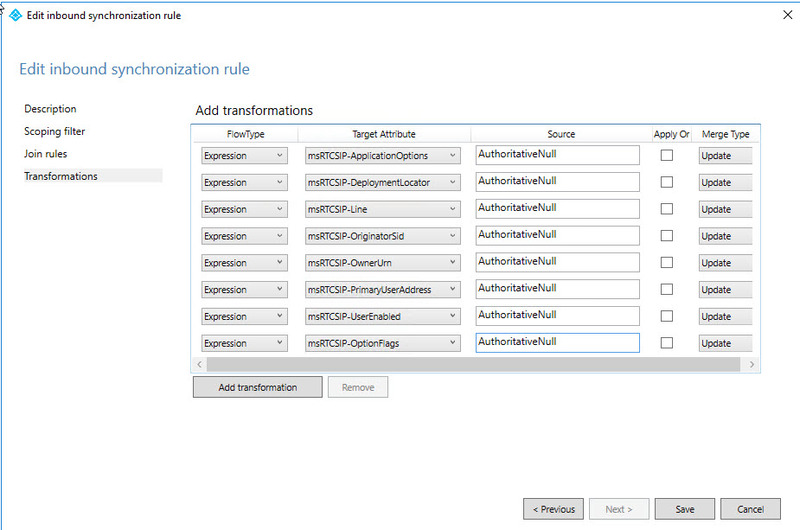 Interestingly, it looks like I would have hit the missing TCP 445 problem when enabling Pass-Through Authentication (i.e. prior to enabling Seamless SSO), but for the fact that I chose to use an existing AD Forest Account. 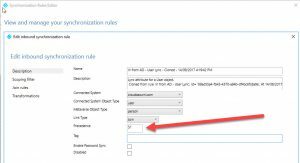 If I had tried to let the Wizard create the account required for PTA it would also have failed due to TCP 445 not being available. 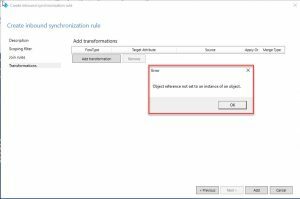 Hopefully this should give you enough to go on if you come across a similar issue. 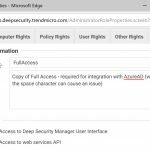 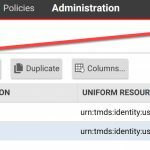 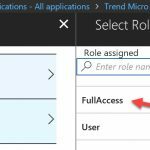 Posted by admin on August 3, 2017 at 1:10 pm under Azure Active Directory.